Logs2U, the UK's leading Log and Firewood Suppliers for wood burning stoves and open fires has reduced a wide range of it's logs and wood fuel products in a pre-winter season sale bonanza. Many prices on top log and firewood products have been dropped by 20% or more! Winter Fuels Price Drop - For consumers who buy logs online, there couldn't be a better time to get bargain prices on kiln dried logs, seasoned logs and firewood too from the UK renowned Log Suppliers Logs2U. Logs2U, is part of the CPL Distribution Group based in Chesterfield Derbyshire, UK and have over 30 solid fuel supply depots across the UK serving local wood fuel users. Logs2U has reduced the prices of many popular wood fuel and log products for online buyers. 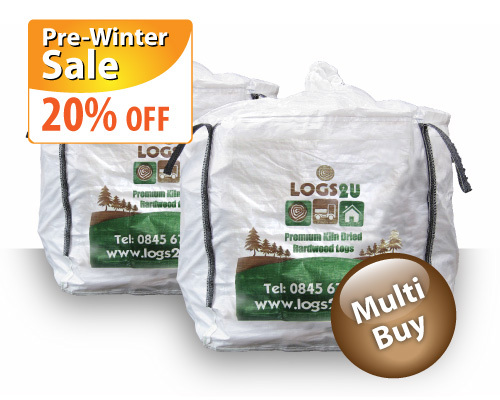 Kiln Dried Logs - Dumpy bags (1m3 volume) have reduced from £149 to £119 - A saving of £30. 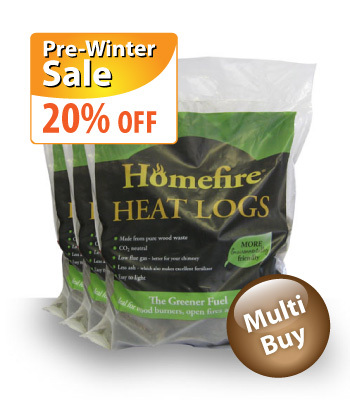 Seasoned Logs - Dumpy bags have been reduced to £106.50 and handy bags (0.1m3 volume) of Kiln Dried Logs and Seasoned Logs have been reduced by 20% as well. Hardwood Logs - A wide range of Hardwood Firewood Logs in a variety of different sizes and packaging including seasoned hardwood, kiln dried hardwood and unseasoned hardwood - all are featured in the Pre-Winter Sale too. Wood Burner Starter Promotional Pack - Save £53. Logs2U's NEW Wood Burner Starter Pack is great for stove and wood burner owners or people with open fires and this special introductory offer gives 25% off previous prices. Amidst price increases in electricity and gas sectors - this represents a great opportunity for wood fuel users to lower their winter fuel bills. 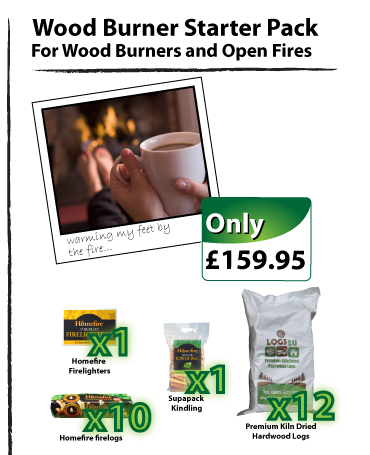 The promotional pack includes 12 handy bags of Logs2U's best selling kiln dried logs (these are dried to an average of 20% moisture making them ideal for wood burning appliances and stoves) along with a box of 12 individual firelighters, a bag of firewood kindling and 10 new instant light fire logs. This promotion is a time limited offer and restricted to one order per household. New users of wood fuels that are unsure of which wood fuel products are suitable for their wood burning stove or multi-fuel stove appliance can refer to a range of helpful online guides and information which covers key concepts such as benefits of product types, suitability, sizes, seasoning guide, moisture content, weights and volume. The Real Wood Guide and Log Buying Guides assist thousands of people with information about how to light a fire, how to season logs, which products are suitable to use and when, how to chop and split firewood and logs, information on storage etc. These guides are ideal online quick references for wood fuel buyers. Log Stores reduced in price. 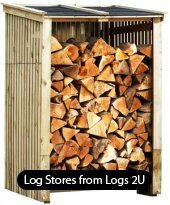 A select range of wooden logs stores have also been reduced in price. Three different products are on offer - a "Quality Log Store", a "Premium Log Store" and a "Deluxe Log Store" - each have been reduced to give them very competitive prices. Prices start at £149. 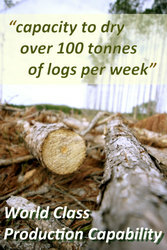 For more information about Logs2U and wood fuel price promotions - find details online through their website logs2u.co.uk and subscribe to their e-newsletter or follow them on Twitter and Facebook for instant updates.